Ocean City, Maryland boasts miles of sand, surf, and sun, as well as a wooden boardwalk full of restaurants, bars, and activities. This resort town is the go-to place for DC residents who want to hit the beach, but don’t want the hassle of traveling too far. Ocean City has a lot to offer beyond just the beach, which makes it the perfect destination for a weekend away from the city. Here’s everything you need to do there, especially before winter hits. 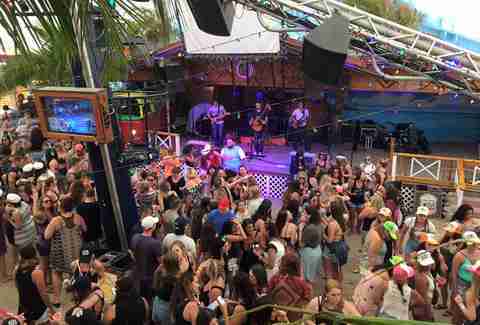 Seacrets’ tagline is “Find us and get lost,” and that’s definitely a possibility at this massive entertainment spot with 18 bars, a nightclub, numerous restaurants, and live bands -- all right on the beach. This is the destination for bachelor(ette) parties, graduations, vacationers, etc. To sum this place up, “family-friendly” is the last phrase we’d use to describe Seacrets. This is where all the Ocean City veterans hang out, so if you’re looking for some local flavor, Macky’s is the spot. Patrons rave about the quality of their traditional “beach food,” and each night of the week has its own special theme, like Mustache Bash and Little Black Dress Night. A private white sand beach, open-air bar, and views overlooking the bay make this quite an oasis for a bite and a beer. This local favorite is serving up crabs, crabs, and more crabs. (And shrimp and oysters, too.) If you’re looking for some good old-fashioned seafood, The Crab Bag should be your first stop. 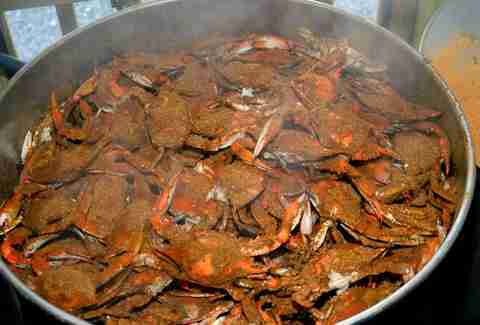 It claims to have the “best crabs in Ocean City,” and customers seem to agree. It doesn’t hurt that the beers are cheap, too. 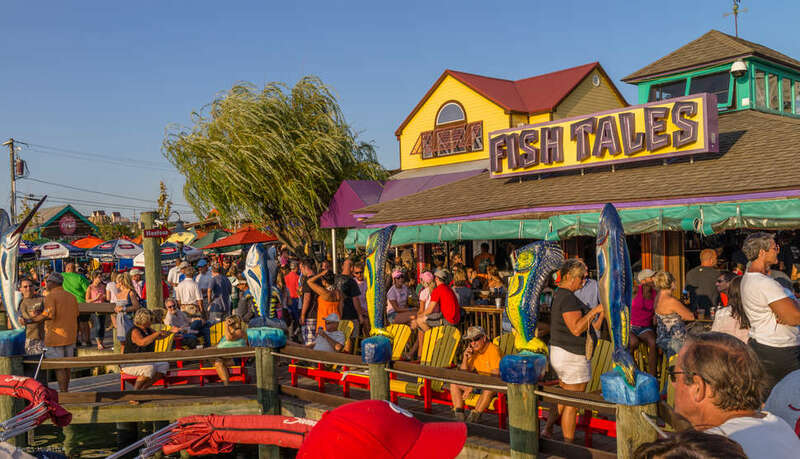 Voted Best Oceanfront Dining and Best Bar Overall in the Best of Ocean City 2017 competition, Fish Tales is a casual eatery right on the bay. The tables on the beach are shaded by umbrellas by day and lit by tiki torches at night, while arcade games line the walls indoors. A day at the beach isn’t complete without a trip to the ice cream shop, and in Ocean City, this is the only one you need to visit. 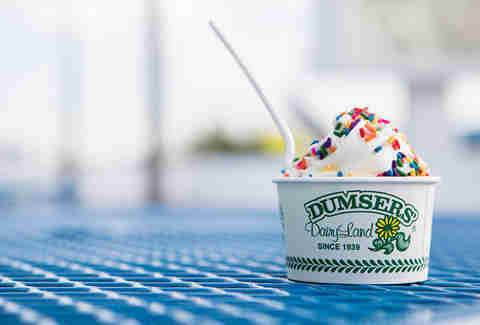 Not only does Dumser’s serve homemade delights, but its menu also includes summer food favorites food like mac & cheese wedges, onion rings, and burgers. Grab a shake, cone, float, or something off their “Super Sundaes” menu to cool off and satisfy your sweet tooth. One of several breweries in the area, this one is unique in that it also serves vodka with a family restaurant, sports bar, and gift shop on the premises. There are always at least 24 different brews on tap, and the atmosphere is friendly, social, and perfect for sharing a drink with friends. Get some beer and booze to go and enjoy the taste of the beach as soon as you get home. After a full day at Seacrets and a night on the boardwalk, you will have earned yourself a hearty breakfast. Look no further than Barn 34, decorated with majestic chandeliers and bathed in natural light. They also serve lunch and dinner, but the earlier hours see the most action here; their extensive breakfast offerings include Captain Crunch French toast, fried green tomatoes, and eggs prepared every way you can imagine. The second brewery on our list is proud to use sustainable practices and local materials when brewing its beer. Open every day, Burley Oak hosts live bands at least once a week and has a hip, young atmosphere with wooden and iron accents. There are even plans to open a coffee shop here by renovating the former Berlin Coffee House. True to its roots, the new cafe will also have a selection of beer and wine. 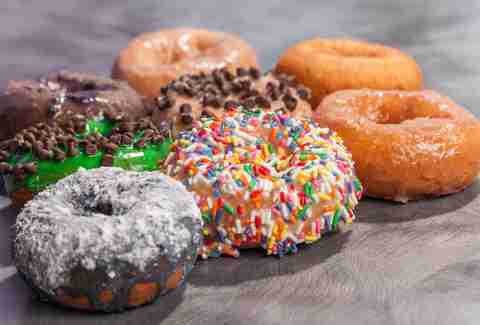 The Fractured Prune has been a local staple since 1976, bringing the people of Ocean City the most delicious hot donuts in town. These aren’t just your regular run-of-the-mill donuts either; blackberry cobbler, Black Forest cake, and lemonade are just a few of the offerings at this landmark shop. Think you can do better? Email the shop your concoction and you just might see it on the menu. 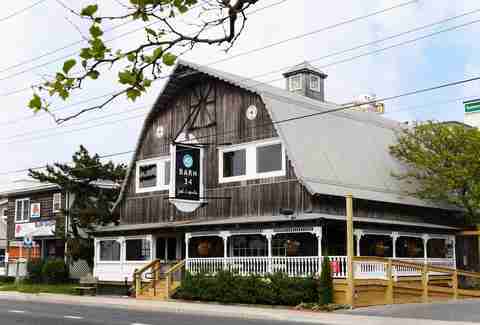 The oldest craft beer festival in Ocean City will be held on September 9, featuring over 30 crafts beers and live music from acoustic rock duo Bad Since Breakfast. Kick off the fall season with perfect weather, a beachside view, and beers from 12 different breweries. Later in the season, you can also snag tickets to OCtoberfest, a pet-friendly event with music, food, and world-class beer.